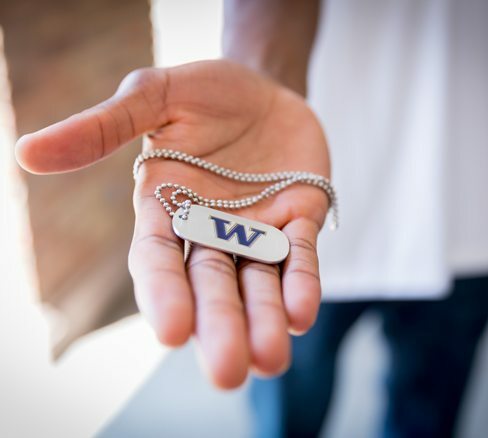 It feels great to know that your financial support makes a lifelong difference for Husky student-athletes. Your donations have tangible benefits for you, too. Annual Tyee Club Membership recognizes your support of Husky student-athletes and commitment to The Competitive Edge Fund, seat-related gifts, and team and program support. The more you give each year, the more you benefit — from tax deductions to Dawg Tags, exclusive events with players and coaches to public recognition for your generosity. Login to MyUWGiving to view your benefit level — determined by your total fiscal year giving and fulfilled the following fiscal year. View our chart to see how you can benefit when you donate to UW Athletics. Learn what benefits you can receive as a member of our Leadership League, a special group for those who contribute $25,000 or more each year. View our 2018–19 Tyee Club membership guide.